Beyond the assurance of a painstaking certification process and 24-hour Roadside Assistance, every Certified Pre-Owned Mercedes-Benz now comes with industry-leading coverage. Your confidence will know no bounds. I've gotten my new c300 delivered yesterday which became my 5th car and it was the best car shopping experience that I have ever had for the past 10 years!! I contacted mercedes benz newmarket back in May, 2018 in regards a demo gle and then an e class. That was how I met Sonia! She was very very friendly, informative, patient, and always giving me honest opinions and choices! So I ended up ordered 2019 the new facelifted c300! And I am absolutely in love with it (the emerald green is just stunning)! Sonia helped me to make many great choices and getting my new c300 was the best! Sonia and Dan also helped me to get all the options/equipments that I wanted my new car to be built with even though with many troubles and hassles! While I was waiting for my c300 to be delivered, Sonia and Raymond also helped me to get my old c300 break pad done with a great price! I am very glad and grateful that I got to know Sonia and to do business with her and MB newmarket! My new C300 was delivered yesterday which became my 5th car and it was the best car shopping experience that I have ever had for the past 10 years!! I contacted mercedes benz newmarket back in May, 2018 in regards a demo gle and then an e class. That was how I met Sonia! She was very very friendly, informative, patient, and always giving me honest opinions and choices! So I ended up ordered 2019 a new facelifted c300! And I was totally loved it! Sonia helped me to make the best choice! Sonia and Dan also helped to get all the options/equipments that I wanted my new car to be built with even though with many troubles and hassles! While I waiting for my c300 to be delivered, Sonia and Raymond also helped me to get my old c300 break pad done with a great price! I am very glad and grateful that I got to do business with Sonia and MB newmarket! 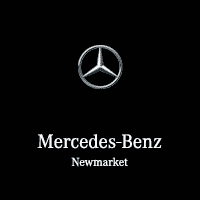 Mercedes-Benz Newmarket is a new and pre-owned Newmarket, ON Mercedes-Benz dealership. We proudly serve and ship to the Greater Toronto Area. In our online showroom, you’ll find an outstanding selection of Newmarket, ON Mercedes-Benz cars and Mercedes-AMG® vehicles you might not find so easily elsewhere. Or perhaps you’re in the market for Mercedes-Benz vans or vehicles from our Corporate Fleet Program? We can help you with that too. We offer comprehensive service here at Mercedes-Benz Newmarket! Our dealership also stocks smart cars, and we welcome you to browse our inventory of Certified Mercedes-Benz Vehicles in Newmarket, ON—owning a Mercedes-Benz is quite affordable, we’re sure you’ll find. We offer a variety of financing and leasing options to help get you behind the wheel of a Mercedes-Benz. And to keep it running optimally, we service and sell parts and accessories for your new Mercedes-Benz. Welcome to Mercedes-Benz Newmarket! If you have any needs we haven’t yet addressed, then please contact us.